MANILA, Philippines (8 Sept) – The Palestinian soccer team was the Cinderella story of the sporting world following its against-the-odds victory in the Asian Football Confederation’s Challenge Cup in May. It wasn’t just that it won its first ever international piece of silverware. 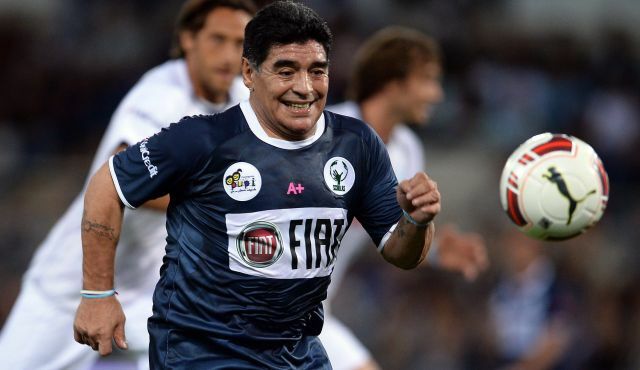 Or that it did so without conceding a goal in all five matches in The Maldives. 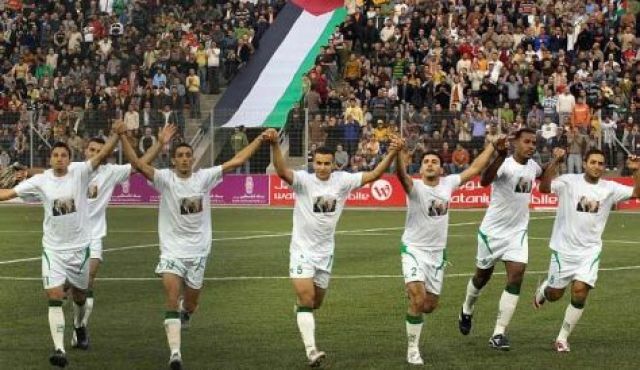 No, the victory on May 31 earned the Palestinians the 16th and final berth to compete in the Asian Cup – the continent’s biggest soccer tournament – in Australia next January. The team returned home as national heroes, first to Amman, then Jericho, and finally to Ramallah, where tens of thousands thronged the streets before President Mahmoud Abbas welcomed them to the Muqata to celebrate the historic moment. Fast forward three months and one deadly war, when among the dead was Gaza’s Ahed Zaqout, 49, a Palestinian soccer legend. Palestine’s first match since that victory was in Manila last Wednesday, as part of the Philippine Peace Cup, which also featured Myanmar, Chinese Taipei and the host nation. On paper, Palestine should have been favorite to win the Peace Cup, having defeated Myanmar 2-0 in The Maldives and The Philippines 1-0 in the May final. The head coach,Jamal Mahmoud– a Palestinian-Jordanian living in Amman – was denied a visa to cross into the West Bank for the pretournament training camp. With no coach or assistant coach, the players arrived in Manila without any preparation. Most of the players who travelled to The Philippines hail from the West Bank, with one from Sakhnin and another from Umm al-Fahm, both Arab cities within Israel. From Ramallah, the makeshift team crossed by bus to Jordan, delayed – according to Palestinian officials – because some of the players were held at the Allenby Bridge. From Amman they flew to Dubai, where two other players were held overnight by authorities, while the rest arrived in Manila last Monday, 24 hours after they set off. The opening match against Myanmar was a disaster, the Palestinians taking a 4-0 hiding before a late consolation goal made the final score 4-1. On Saturday, it played Chinese Taipei in the bronze-medal match and came within a whisker of another devastating defeat, having thrown away a two-goal lead – the first goal coming from Javier Mereles, a Palestinian born in Paraguay who was making his debut. At 3-2 down and with the final whistle seconds away, Abdulhamid Abu Habib, who was born in Gaza, scored a last-gasp equalizer to send the match into extra time. Even then, Chinese Taipei seemed odds-on to power home, with more substitutes and more stamina. But the Palestinian team has a track record of defying the odds. Even so, no one expected the final score: 7-3 to Palestine, with a four-goal haul by Hebron-based Ahmed Mahir, earning it the bronze shield. “We were missing many players. Some in Gaza – because of the war they could not travel,” said team manager Abdallah Alfara after the match. In Australia, it will face Japan (the reigning Asian Cup champion), Iraq (the 2007 champion) and Jordan, in what will be a virtual derby given that many of the Jordanian players and fans have Palestinian heritage. On the face of it, Palestine is the underdog, the only one of the final 16 to make its debut in the quadrennial tournament. So long as another conflict does not erupt in Gaza, and assuming it can take a full-strength squad to Australia, its Cinderella story may yet have a sequel.